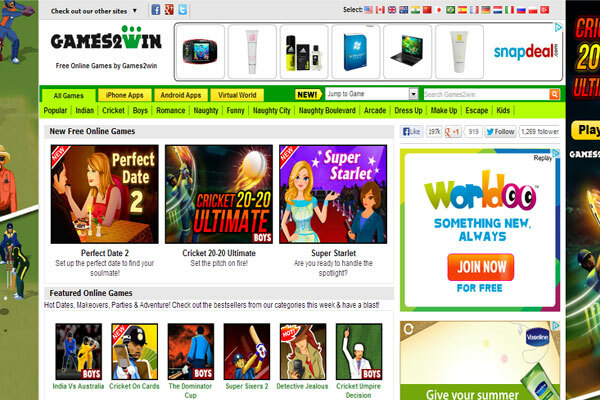 Online gaming company Games2win.com India Pvt Ltd has acquired Delhi-based casual games studio Backyard Game FactorRy Pvt Ltd for an undisclosed amount. Backyard Game FactorRy will operate as it is, and its CEO, Rahul Jaiswal will continue to head its existing employees, according to a statement issued by Games2win. Backyard Game FactorRy was started in 2010. It creates online games including flash, social media (Facebook) and mobile games. "Given the fact that the company is based in Delhi, they will now hire aggressively and build a larger and robust studio for Games2win using the talent available in the NCR region. This will help us leverage Mumbai and Delhi as major talent hubs for digital development in India. We are also quite keen to acquire more game studios and game companies in India who have an expertise in mobile and online games," said Alok Kejriwal, co-founder and CEO of Games2win. Recently, Games2win raised close to $2 million (Rs 10 crore) in Series C funding from Clearstone Venture Partners, a US-based venture capital firm. It said the funding will be primarily used for acquiring games and building an international team. Headquartered in Mumbai, with a presence in San Francisco, Games2win was set up by Kejriwal and Mahesh Khambadkone (COO) in 2007. The company currently has a 100-strong team. It owns 800 proprietary, casual games and has over 20 million monthly users across mobile and web properties. Its games have been generating downloads without any marketing and the company claims to have had 30 million downloads across the iTunes store and Google Play store in just one year. Two of its games—Parking Frenzy and Super Mom—had also topped the global apps charts last year. Its investors include Clearstone Venture Partners, Silicon Valley Bank, Nirvana Digital Fund, Nexus Venture Partners and ICICI Venture. According to reports by research firm Gartner, the money that will be spent on digital gaming will reach $112 billion by 2015 globally. Considering different genres of digital gaming collectively, there are more than 600 million users who play social games and the market for social gaming touched $1.5 billion globally in 2010. Mobile gaming is also on the rise, with more than 840 million subscribers in India; it is expected to reach Rs 17.1 billion in revenues by 2015.